MOTIVATED SELLER! 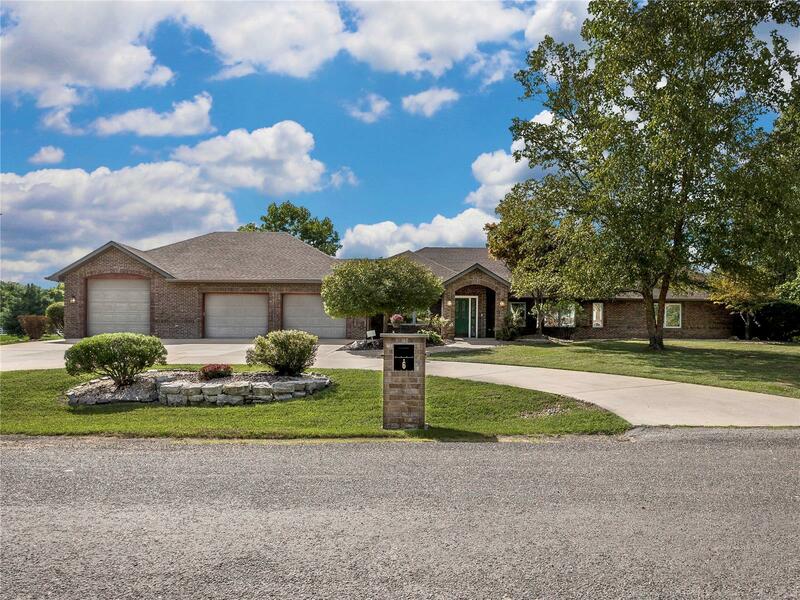 This expansive, quality-built full brick ranch home sits on 1.72 acres with two ponds. Open floor plan with over 6,900 square feet of livable space, walkout basement, deck and patio. Extra large kitchen opens into living room with wood burning fireplace. Ease of living with main floor laundry, central vacuum, whole house humidifier, water softener, and geothermal system. Finished basement includes sixth bedroom, full bathroom, spacious family room, and bonus room with sink. Exercise room includes built-in area in floor for hot tub. Oversized three car garage. Home has working elevator and handicap accessible features. Seller is including an AHS one year home warranty. A must see! NEW ROOF on home to be completed April 22/23rd!